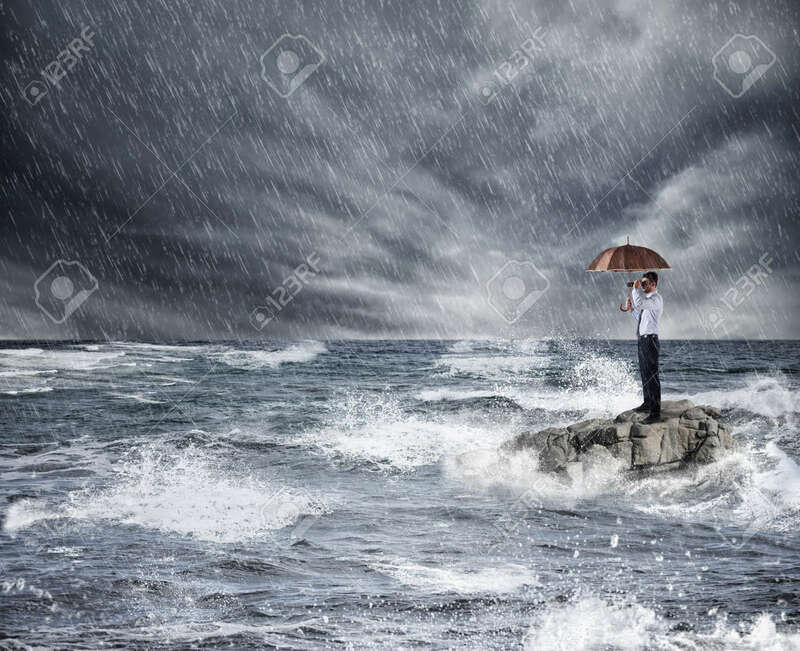 Businessman With Umbrella During Storm In The Sea. Concept Of.. Stock Photo, Picture And Royalty Free Image. Image 83274955.